Let's all just take a moment and praise His holy name. He is so good. Do you ever stop and marvel at how blessed you are? It doesn't matter what trials and tribulations you may be currently experiencing in life...you ARE blessed. I sometimes wonder how I've gotten to this point in life, so undeservedly. I sometimes wonder why God loves me so much to forgive me and guide me into His will for my life while protecting me from less than His best for me. I sometimes wonder how I ever lived my life before the days that I truly sought Him and felt His love overflowing in my heart. It's hard to remember what that felt like...the days before my true relationship with Jesus. I needed to get that out of me this morning. There are things weighing on me that I want to be irritated by, annoyances that I actually shouldn't take for granted, and hurts that have lingered around too long. But, goodness gracious I can't even focus on them because I feel overwhelmingly loved and blessed. Isn't that funny? Those little pesky things can poke at us trying to steel our joy but if your heart and mind are in alignment with the word of God and filled with His spirit then they won't be a negative distraction from the positive things happening all around you and to you. Now...moving on to my favorites from the previous week(s) that I am linking up with Andrea to share today. Let's start with HAPPY FRIDAY! This will be a wordier post than normal...I can just feel it. I love it. I think it is one of the best qualities a person can have and it intertwines with love and friendship. Being thoughtful, no matter the item, the moment, or the expense means more than the cost itself. I express this every time I ever blog about gifts! Well, this week I got to visit with one of my besties, Rachel, who I most definitely do not get to see enough of anymore while life is keeping us fruitful. Rachel made me a gift that I loved and ooo'd and awe'd over when I first unwrapped it and read the verse Romans 8:28 she chose for me. And then I turned it around...and cried. Truly, this touched my heart. And if you haven't seen the puzzle piece image that I have used since I came up with my blog's name Every Piece Fits, then subscribe below and you'll get it in your inbox. ;) Or you can also catch glimpse of it here. This guy, our weekend at the Mardis Gras Ball and with his friends, and my "infamous" red dress. We had a blast dancing and enjoying community with his friends last weekend. And since I got a gagillion comments when I wore this dress in 2016, I thought I'd share the link to it again. Remember when I said in last week's post that you DO NOT have to spend a lot of money on a dress you wear once or twice and gave some dress suggestions? 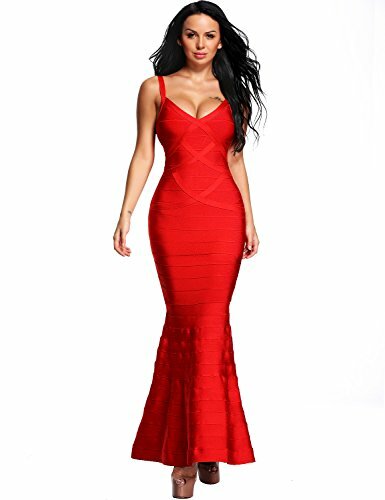 Well, this red mermaid bandage dress was $89 when I bought it and still only $99. No alterations needed with my heels on either. Hooray! It also comes in five colors. And yes, I ordered it on Amazon. You can view a really old post about great dresses for holidays and events here. You can view last week's Friday Favorites with inexpensive dress suggestions here. Rick Warren's Daily Hope emails. It's rare that I skim through these emails because most of them have great content and the reading is brief. More frequently than not I forward them along to someone it makes me think of on that given day. We have a choice every day to live for God's glory and to overcome temptations and sin. It's not easy. The Bible never says it will be easy. But, it is possible. This song. The words. And when I get to sing it at church. This sweet girl's blog who is sharing her testimony while going through chemotherapy at the age of 18 with Hodgkin's Lymphoma. I've only recently seen it but feel it should be shared in support of her courage to write and her courage to battle cancer with a positive outlook. What were the highlights from your past week? Anything fun to share? I am gearing up for a great, long weekend and am excited for it. How about you? Wishing you all, dear friends and family, a wonderful weekend ahead.